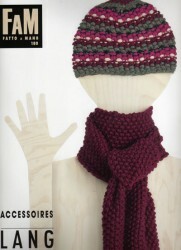 Fashionable scarf and hat patterns for Mille Fiamme and including patterns both crocheted and knitted accessories using yarns ranging from lace-weight to superchunky! Yarns that we stock include Mille Fiamme, Mille Colori and Mille Colori Big. Many of the other patterns can be knitted using standard weight yarns.